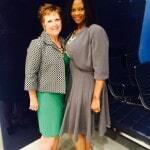 ELS Partner Chandra Davis served as a panelist at the Women in Business event entitled Women, Words, Wisdom, & Work held on Thursday, September 25, 2014 in New York City. The event was hosted by Tracy Castle-Newan, who serves as Managing Director and Global COO for Equity Distribution at Morgan Stanley. 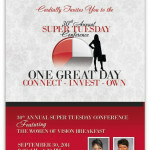 ELS Partner Chandra Davis to Serve as Panelist at 30th Annual Super Tuesday Conference!